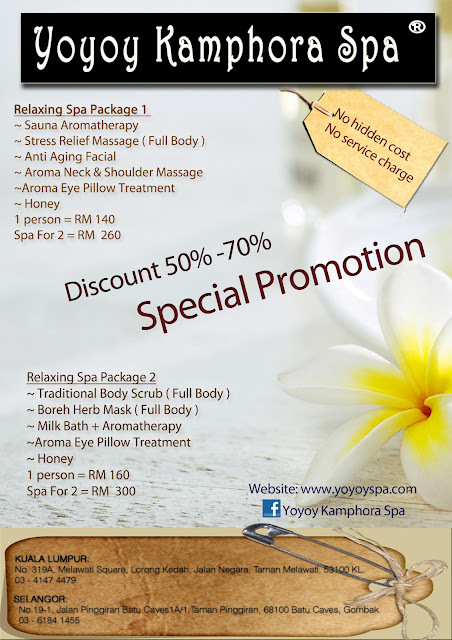 Promosi spa pengantin di Yoyoy Kamphora Spa. MENJELANG hari bahagia setiap wanita terutama bakal pengantin pasti inginkan kulit cerah berseri tanpa sebarang cela, penampilan anggun menawan ditambah tubuh yang langsing kala menyarungkan gaun ke tubuh. Semua ini pasti menjadi dambaan setiap raja sehari yang ingin melangkah ke atas pelamin dalam keadaan paling sempurna dan penuh keyakinan. Pakej Ratu Sehari di Yoyoy Kamphora Spa. Pakej Spa Pengantin di Yoyoy Kamphora Spa. Kursus pada hujung minggu adalah untuk yang bekerja, pelajar, suri rumah, guru atau sesiapa sahaja yang ingin menjadi usahawan kecantikan secara sepenuh masa atau secara sambilan. Anda akan dilatih secara teori dan praktikal dengan teknik yang mudah, ringkas, berkesan dan mudah dipelajari oleh tenaga pengajar bertauliah, berpengalaman serta telah berkecimpung lebih dari 10 tahun di dalam industri kecantikan dan kesihatan. - Sila hubungi kami untuk maklumat lanjut. Kami menyediakan jadual kursus yang fleksibel mengikut kesesuaian peserta. Kursus dijalankan pada hari bekerja dan juga pada hujung minggu. Below are the list of courses for those who would like to learn certain individual subjects or treatments to complement their current skills. You won't succeed in business if nobody believes in you. Here's how to make certain they do. 1. Be genuine about who you really are. The days are long gone when customers were impressed by an illustrious corporate name or a fancy job title. Customers are more likely to respect you if you present yourself as an individual rather than a plug-and-play "representative." The moment you pretend to be more (or other) than you really are, your credibility flies out the window. Be authentic, even if all you bring to the table is your enthusiasm. 2. Know the legitimate value of what you provide. When you know--truly know--what you're products and services are worth, you're unafraid to communicate both the strengths and the limitations of your offering. You'll refuse to cave to unreasonable customer demands. You'll stick to your firm's policies and procedures, and explain to the customer why they make sense. You'll be strong and confident about what you can contribute, thereby creating credibility. 3. Have insights based on research and analysis. Adding insights to a conversation automatically creates credibility. Insight comes from learning about a firm, the role it plays in the industry, and the customers that it serves. Insight is strengthened when you develop multiple contacts (and thus different perspectives) within the customer's firm. Remember: even the smartest CEO doesn't know everything, and as an outsider, you can bring a fresh perspective to old problems. Happiness is the only true measure of personal success. Making other people happy is the highest expression of success, but it's almost impossible to make others happy if you're not happy yourself. If there's any big truth about life, it's that it usually lives up to (or down to) your expectations. Therefore, when you rise from bed, make your first thought: "something wonderful is going to happen today." Guess what? You're probably right. I'm not talking about a formal, wrapped-up present. Your gift can be your smile, a word of thanks or encouragement, a gesture of politeness, even a friendly nod. And never pass beggars without leaving them something. Peace of mind is worth the spare change. Promosi Istimewa Sepanjang Februari 2013 di Yoyoy Kamphora Spa. Make choices about the activities in your life. With most endeavors, you can either go deep or go wide. Focus on spending time that for you is fun and productive. If you like big families, have them, but recognize up front that kids require time and you'll have to choose a lifestyle that supports quality time with them, for you to feel satisfied. I chose the life of a consultant because I like to work with companies, but don't want the life of a big company CEO. My choices are based on the lifestyle I want. You don't do everything well. The things you do well usually give you greater joy and require less time. Don't take on something with a steep learning curve if you don't have the available bandwidth. Design your life to meet your wants, and recognize when to say no to opportunities that are outside the scope of your desires. Live your life by design, not default. Make these easy tweaks to your sales process to create a huge increase in sales revenue. Want to sell more? Here are 12 simple actions that you can take today that will increase both revenue and profit. 1. Reduce the number of opportunities you pursue. The more opportunities you've got, the more likely you are to make a sale, right? Wrong! If you can't give each prospect the attention they deserve, you'll lose sales you otherwise might make. 2. Increase the percentage of time you spend selling. Get somebody else to handle your paperwork, expense reports, or whatever busywork is involved with making a sale. Use the extra time to get in front of customers. 3. Stop buying technology because it's cool. Smartphones, tablets, and PCs can be important tools--but learning and supporting them can drain your productivity. Only purchase devices and programs that actually help you sell. 4. Think about your solution as a verb. Suppose your company makes glue. If you're selling "glue" (a noun), you'll talk about product features. If you're selling "gluing" (a verb), you'll talk what your offering does for your customer's business. · Menjalankan rawatan kecantikan mengikut prosedur yang ditetapkan. · Menunjukkan tahap perkhidmatan profesional berkualiti tinggi untuk membina kesetiaan pelanggan. · Berupaya untuk menjana dan mencapai sasaran jualan. · Berupaya untuk memimpin dan bekerja di bawah tekanan. · Berupaya untuk bekerja dalam pasukan dan individu. · Calon mesti mempunyai sekurang-kurangnya SPM. · Calon yang mempunyai sijil spa terapi / beautician atau setaraf digalakkan memohon. · Latihan akan disediakan oleh syarikat. Difficult people present no problem if we pass them on the street, in the supermarket or in a building lobby. Nevertheless, when we have to work with them difficult people can become major irritants. It seems that some people are just born to be difficult. We have all worked with them and most of us dislike them. Difficult people are easy to recognize--they show up late, leave early, don't turn their work in on time and have an excuse for every failing. Wait, there's more. These difficult people harass you and others, ask too many self-explanatory questions, neglect details, distract you and repeatedly challenge you and others. Even worse, when they interact with customers, vendors and people lower than them on the corporate hierarchy, they can be grouchy, impolite, condescending, uninformed, misleading, inappropriate or simply wrong. Do you know anyone like this? Naturally, no one wants to work with difficult people. When dealing with problematic employees, productivity decreases, frustrations rise, morale goes down and customers and vendors get upset. 1. Don't ignore the problem. Assuming that the employee provides value to the company and possesses redeeming qualities, there are ways to deal with difficult employees. Most often, managers will simply ignore problematic staffers. Managers who live by this rule hope the problem will just go away; that these people will somehow turn themselves around or stop being troublesome. Ignoring the situation is the wrong solution to what could likely become a progressive problem. It?s been nearly 15 years since my first job working as a kiosk barista, and in that time I?ve seen an enormous amount of industry change. Different dosing and tamping techniques, latte art, single-cup brewing methods, single-origin espresso and the resurgence of drip coffee has all grabbed the limelight at one time or another. But one thing hasn?t changed a bit ? 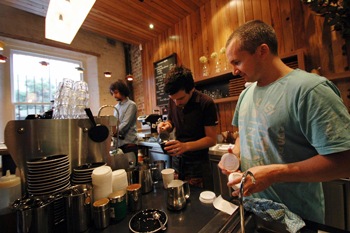 the imperative role baristas play in the overall customer experience. It doesn?t matter what?s on your menu, where you?re located or who roasts your coffee. 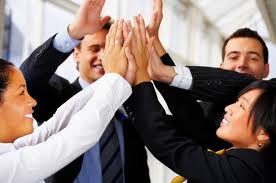 The one absolute must for a successful business is hiring, training and retaining a great team of employees. Like so many other endeavours, selling coffee is all about the people you have alongside you. Know How to Pick ?Em: Whether you?re a new or existing retailer, remember to take your time and develop a methodology for hiring, interviewing and training new employees. The thought of sitting down and spending hours, if not days, interviewing potential employees probably doesn?t sound too enticing, but putting in the effort to hire the right people will pay huge dividends. Finding good staff poses a challenge for all organizations. It does not matter whether a company is large or small, there are always challenges to finding staff that are qualified, prepared and of a positive mindset. In many ways, you could say that finding staff in itself is not a problem – that is quite easy. Finding good staff is a different matter. 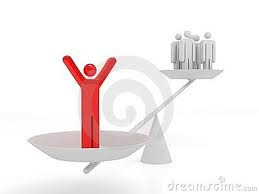 Whenever you are looking for manpower, you have the choice of hiring new staff or outsourcing the work. Looking into the future of staff recruitment more challenges are projected. Now, depending on whether you are operating a small company or you work in the human resources department of a large corporation, your staff recruitment strategies may vary a little. The three best ways to recruit staff is in-house through cross training existing staff, through specialized recruitment agencies, directly from colleges and universities and by word of mouth. Recruitment agencies are a great way to get exposure to the cream of the crop in your industry. Even if you are not looking for staff right now, you should familiarize yourself with local agencies so that you can contact them quickly when the need arises. Recruitment agencies work one hundred percent of the time on filling their rolodexes with the contact details of highly qualified professionals. Now, if you decide to use a recruitment agency, work with an agency that specializes exclusively in your particular industry. The fact that they cater exclusively to your industry will serve to draw professionals in your field directly to them and their agency. Therefore you, in turn, will naturally expose your company to some of the best workers in your industry by using a specialized agency. The Marketing Plan: everyone will tell you that you absolutely have to have one. Few of the people who say that, however, are able to tell you what exactly a marketing plan consists of. Creating a marketing plan for your small business shouldn’t take you a few hours. Ideally, it should take you at least a few days to do the research and have the necessary discussions — potentially even a few weeks depending on factors like the size of your market and the uniqueness of your product line(s). The following article may help you in developing your marketing plans. The Executive Summary. 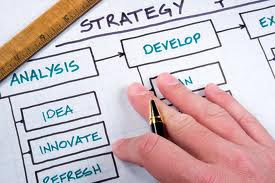 A high-level summary of the marketing plan as a whole, and a paradox on paper: this is the last section that you should write, but the first section that should be in the finished report. It’s best to keep the Executive Summary as short and sweet as possible — just a couple of sentences to sum everything up. While writing it, imagine that you’re going to present this summary “elevator pitch” style. Once you’ve finished it, read it out loud. 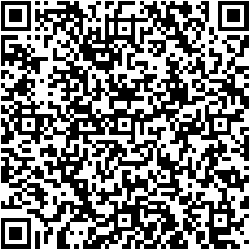 If it takes you longer than ten seconds to read it all, it probably needs to be simplified even further. The Challenge. This section should contain a brief description of the product(s) and/or product line(s) that your company offers. With each description, include goals that you want to set for each product and product line (sales figures, strategic and company-wide goals, etc.). Keep the number and complexity of your goals at a maximum of three per product/product line, and remember that they need to be concise, measurable, and moderately easy to achieve. 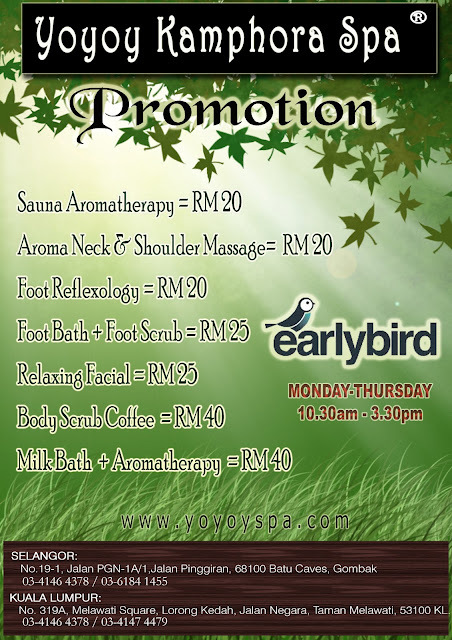 Early Bird Promotion 2013 at Yoyoy Kamphora Spa. Isinin - Khamis = 10.30am - 3.30pm. 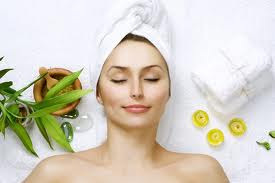 Spa Wangsa Walk di Yoyoy Kamphora Spa. 10.30 a.m. - 8.30 p.m.
Spa Near Wangsa Walk at Yoyoy Kamphora Spa. Spa Wangsa Maju di Yoyoy Kamphora Spa.